Money-saving, 8-hat counter display rack. Get more value with this space-saving, cost-saving counter rack. Its attractive chrome design will highlight your women's hats—and its foam covers will preserve them. 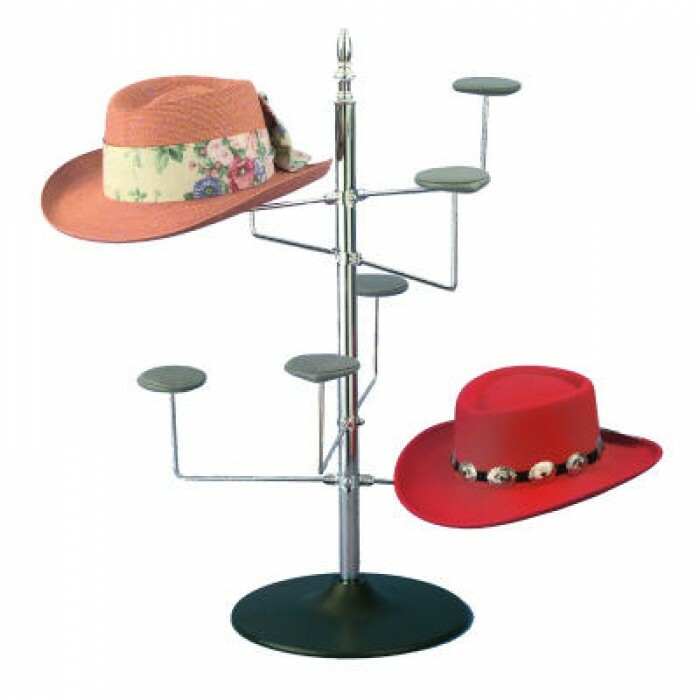 With its four-tier design, you can showcase eight hats. Comes with a handsome, chrome-color finial and sturdy black, plastic base. Dimensions: 29"H, 20" Spinning Diameter.